For over 2 years Xcellimark has managed the Digital Marketing strategy and implementation for Winter Park Oral Surgery, a maxillofacial and oral surgery practice serving Orlando, Winter Park and surrounding communities such as Maitland, Winter Springs, Casselberry and Oviedo. The initial phase of the Digital Marketing plan involved increasing the awareness of their Winter Park practice throughout the Orlando area through search engine marketing, content marketing and social media marketing. The initial phase of the Digital Marketing plan resulted in increased exposure for the Practice and a significant increase in traffic to their website. The second phase focused on creating a new website to improve the visitor experience, enabling the Practice to easily make changes to their website and optimizing the website for mobile users with a responsive design. As a result, the Practice has had a substantial increase in leads, and visitors are using the website more to access forms and educational information. An easy-to-use navigation so users can easily find the information they need on the procedure of their choice. A clean and light design with a bold interchangeable header that cycles through pictures of different popular spots in Winter Park. Bios of the lead oral surgeons with the opportunity to click through to learn more about their educational and professional experience. A library of helpful videos that provide information about different procedures so a patient will more fully understand what will happen. First visit forms prominently displayed at the top so patients can easily access them and fill them out prior to coming into the office. An online appointment request system that allows new and current patients to request an appointment on the date, day and time of their choice. 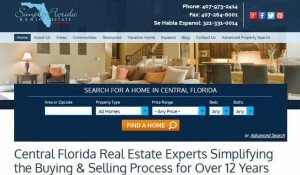 A responsive design that makes the website easy to view, read and use on mobile devices such as smartphones and tablets. A robust but easy-to-use content management system that allows staff to update the website content, images, videos and educational material. Informational articles that cover subjects ranging from wisdom teeth extraction to dental implants, facial trauma, sleep apena and more. “Dr. 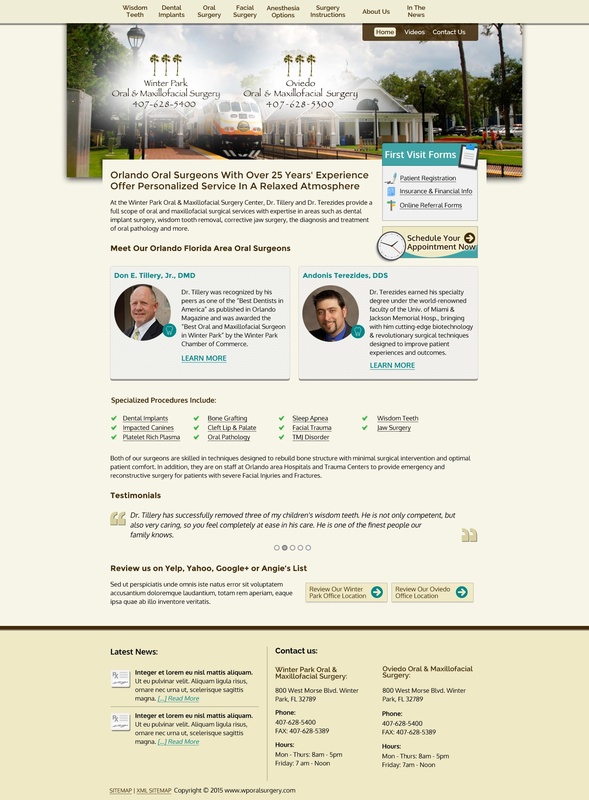 Tillery is recognized as one of the top oral surgeons in Florida. The professional, quality care he and Dr. Terezides provide for their patients is second to none. The challenge with their website was that it did not match their incredible reputation and care provided to their patients. This created a disconnect with potential patients and website visitors. We needed to change that image and make it easier for visitors to interact with the website from their mobile devices in order to help grow the Practice. The result has been a significantly higher volume of people coming to the website, and an increase in new patients to the practice," said Scott Lambert, President of Xcellimark. 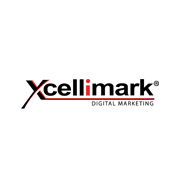 Xcellimark focuses on growing their clients' business through an inbound marketing approach that includes custom web design and integrated search engine optimization, social media, email and content marketing solutions. For more information on how Xcellimark can help you grow your business and increase revenue, contact Scott Lambert at 407-678-3062 ext. 210 or visit www.xcellimark.com.